Memorial Day, Flag Day and the 4th of July are just around the corner! It is time to break out your decorations! 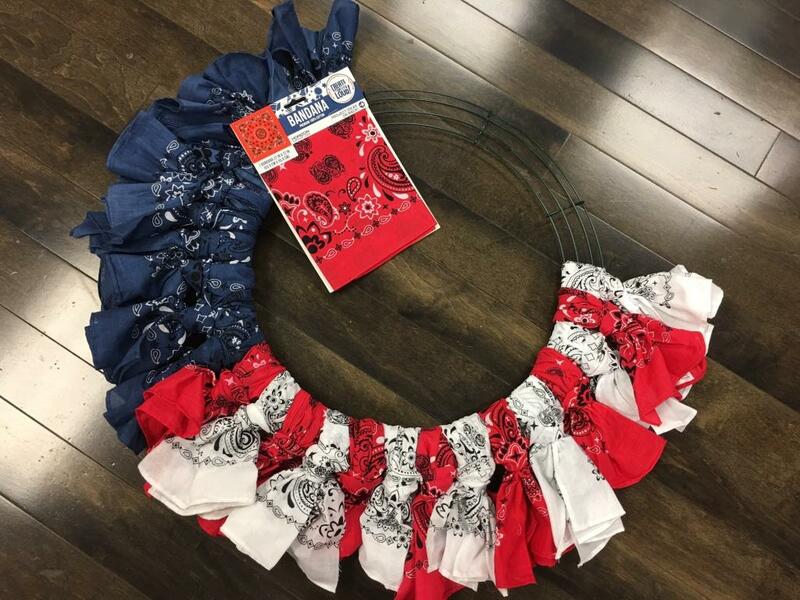 This inexpensive and easy bandana flag wreath is a perfect addition to the front door of your Camden apartment home. In just a few minutes you will have a new beautiful wreath that will show your patriotism. All of these supplies can be bought at your local Dollar Store, Wal-Mart or craft store for under $15! Attach the bandanas to the wire wreath frame. 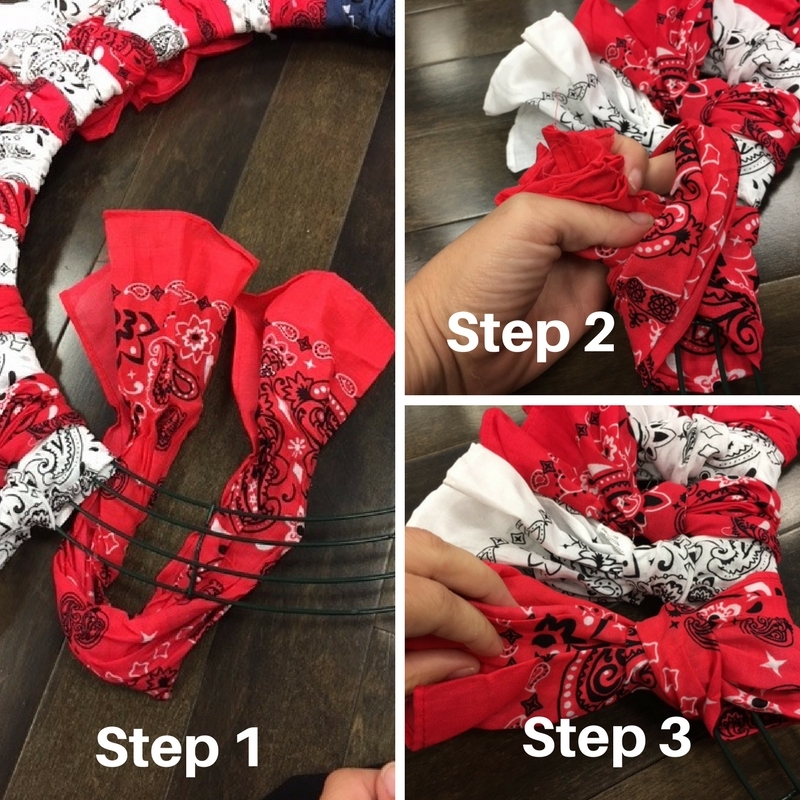 Fold the cut bandana in half and slide it under the wreath to make a “U” shape. 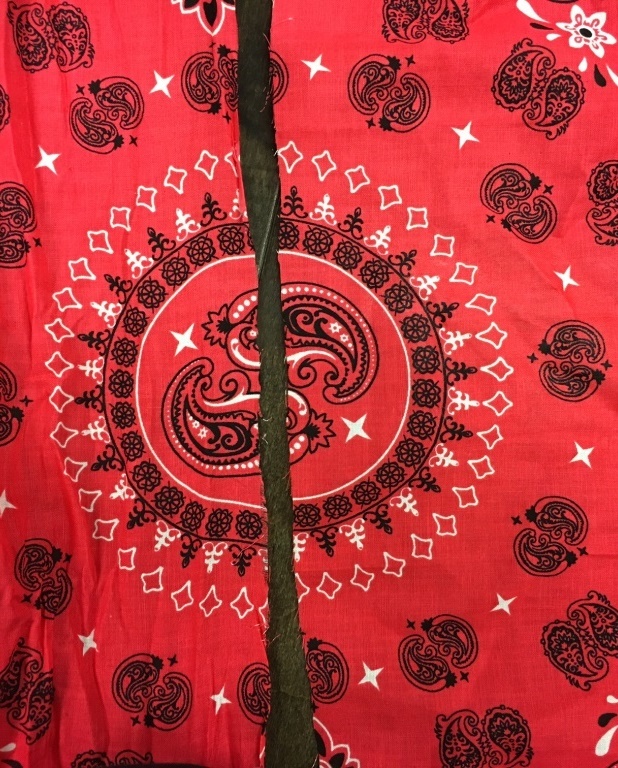 Pull the ends on the bandana over the frame and through the middle of the bandana. Repeat the above steps alternating red and white bandanas then fill in the rest of the wreath with blue bandanas. 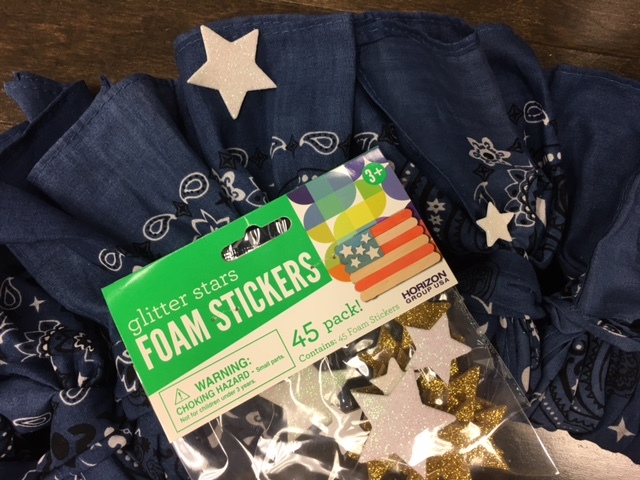 Place the foam star stickers randomly on the blue bandanas. 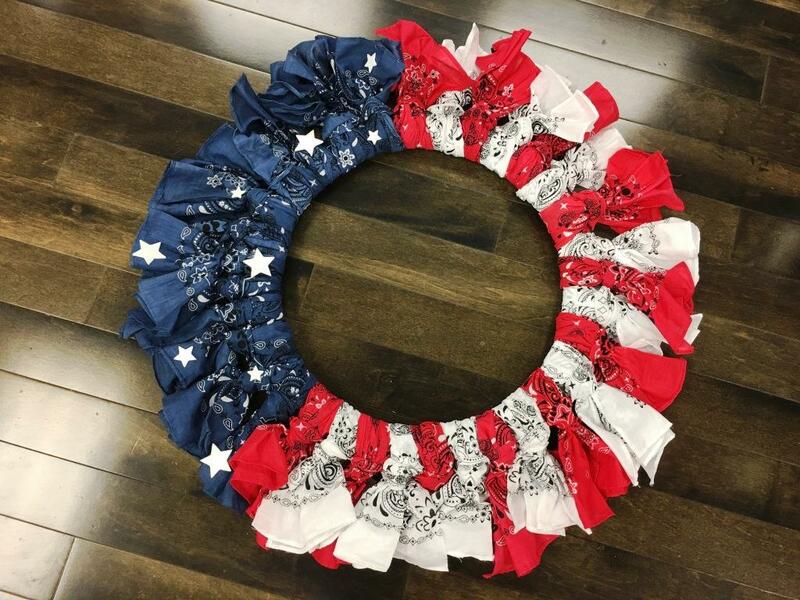 Hang your beautiful finished bandana wreath on your front door! This project was so simple and easy to complete. It only took about 20 minutes from start to finish! It is a great addition to show your USA pride on the front door of your Camden apartment home. Need a wreath for your Camden patio/balcony too? Test your DIY skills with another great patriotic wreath: DIY: Easy Patriotic Flag Wreath.